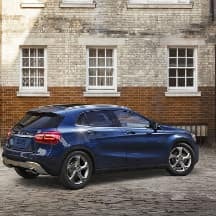 The 2019 Mercedes-Benz GLA is a compact SUV ideal for your active lifestyle. 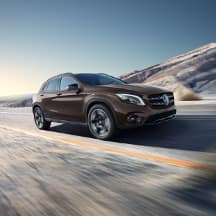 When you choose the 2019 GLA SUV, you won’t have to compromise power for space and comfort because it effortlessly combines all the elements you want most. To highlight the key aspects of the 2019 Mercedes-Benz GLA, the experts at Autohaus on Edens in Northbrook, IL have created the following page. If you’d prefer to speak directly to a specialist at our Mercedes-Benz dealership, contact us at (847) 272-7900. 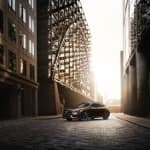 DYNAMIC SELECT®️ Fully customize your driving experience with the touch of a button. Selectable drive modes allow you to tailor your SUVs performance to the terrain. HANDS-FREE ACCESS®️ Simply wave your foot under the rear bumper and the liftgate will open effortlessly. 43.6 cu.-ft. of cargo space You’ll have enough interior space to accommodate for your family or your active lifestyle with smart storage solutions. ECO-START®️/Stop System Spend less time at the pump when you’re on-the-go thanks to this fuel-saving technology. 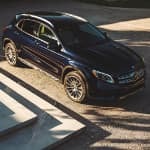 The interior of the 2019 Mercedes-Benz GLA provides the interior space, modern technology, and superior comfort you and your family need. From the large 8-in. 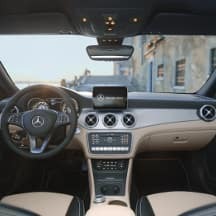 touchscreen to the MB-Tex®️ trimmed upholstery, each passenger will be entertained and adorned with premium amenities. 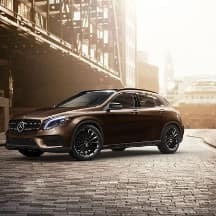 Have you found the 2019 Mercedes-Benz GLA SUV you like best in the new inventory at Autohaus on Edens in Northbrook, IL? The next step is to browse the special offers available at our Mercedes-Benz dealership. Whether you plan to lease or finance your new luxury SUV, we have the incentives you’ve been looking for. 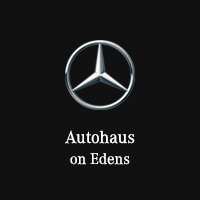 Claim your offer today by calling Autohaus on Edens at (847) 272-7900.